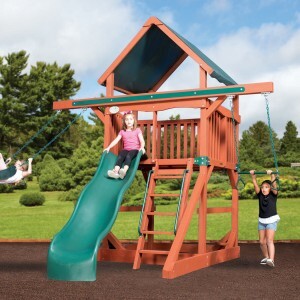 40% Off And $99 Installation Special On All Explorer Series Swing Sets! Now we’re really building a swingset! 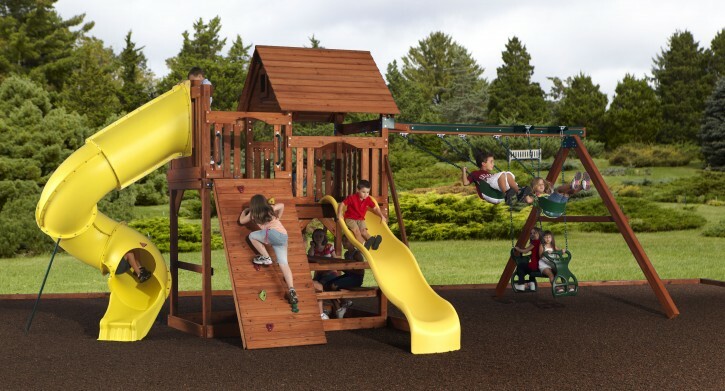 The Magellan 4 has the same fort and 6′ tower as Magellan 3 but the fort is reversed so the Turbo Slide can attach up high. The rock wall climbs 6′ up to the tower and the wave slide zooms down from the 5′ high Magellan deck. 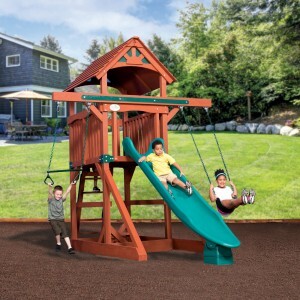 The swing beam is a 3 position and shows the Rocket Rider plus 2 belts swings. 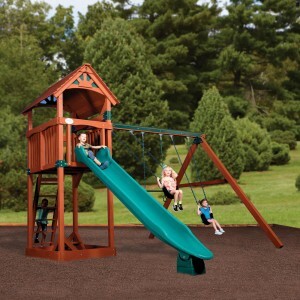 For climbing, sliding and swinging, this set is tops!